The official pricing for the 2017 Chevrolet Cruze hatchback has been announced. The pricing for the base model of the car begins at $22,190. The automobile brand confirmed that they are bringing the hatchback to the United States. It’s a good time for those planning to buy one because there are plenty of options available in the market including the Ford Focus RS, Civic Hatch besides the Cruze Hatchback from Chevrolet. The pricing announced for the car includes destination delivery charges. A couple of trimlines are being offered in the Cruze so that buyers have enough choices to go for. Two different trim lines are confirmed including the Premier and the LT trim variant. The RS package can be added to the car for additional cost. The sedan version of the Cruze has two lower trim levels whereas the hatchback variant will stick to the basic features. Despite all the cost cutting that Chevrolet has done, the price of the hatchback is still higher when compared to other models in the same range. All the competitive models including the Ford Focus, Toyota Corolla and Mazda 3 are priced below the $20,000 mark. The Hyundai Elantra GT is much lower priced at $18,800. The pricing for all the vehicles includes destination charges making them an affordable option for hatchback lovers. A bundle of new features is integrated into the new 2017 Chevrolet Cruze hatchback which includes 4G LTE connectivity on the go which can be shared to devices on the car using Wifi hotspot functionality. In an era of connected devices, these are more of essentials than add-on features. The car also supports Apple Car Play, Android Auto and supports wireless mobile charging for phones that support the technology. The car is powered by a 1.4-liter I-4 engine and it offers a storage space measured at 47.2 cubic feet when the rear seats are folded. When they are opened, the trunk space is reduced to 14.8 cubic feet which is enough to hold the luggage. 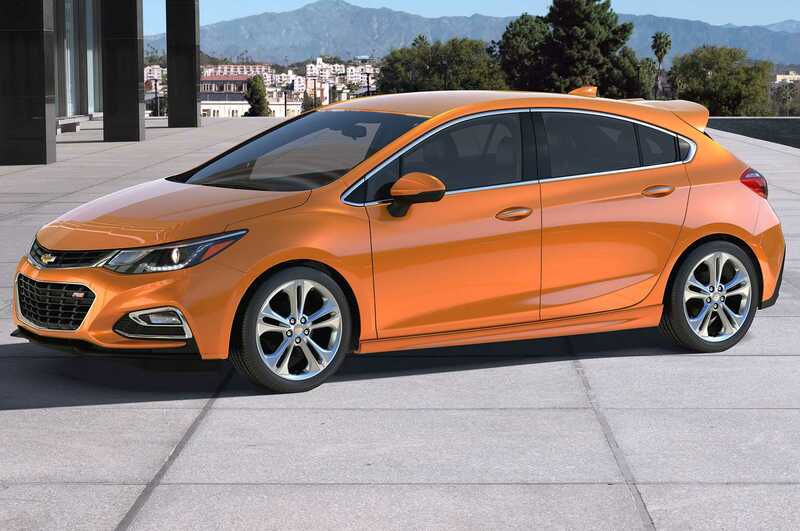 A performance driven version of the 2017 Chevrolet Cruze is not available at the moment. But, with the Ford Focus RS available, it won’t be long before Chevrolet decides to roll out a new model of its own. When they do, it will be an alternative choice for sports car lovers who seek performance and unparalleled speed. When will they launch a sporty car? We can’t comment just yet.